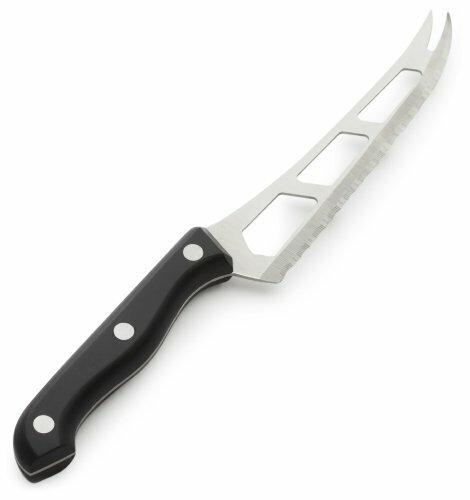 This knife is specially designed with a unique open surface blade and a lifetime sharp serrated edge. The open surface blade reduces friction and keeps food from sticking. Particularly suited for all types of cheese to produce a perfect slice, thick or thin, every time. Also ideal for fruits and vegetables. Quality crafted stainless steel blade with durable Bakelite handle. 10-inch long with a 5-1/2-inch blade.